Lord Mahavir 599 BC 527 BC Indian Siddharth Trishla Religious Leader He was very bright and courageous lad who showed extraordinary skills at a very young age. Though he had all the luxuries of life at his command, he led a very simple life. He left all his worldly possessions after his parents expired and became a monk. 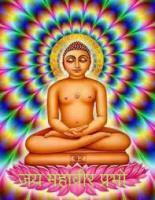 A list of popular Hindi Lord Mahavir quotes are given below.